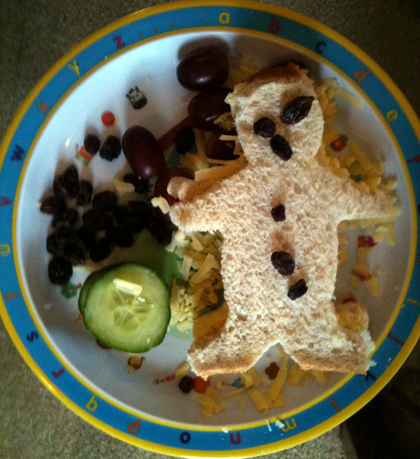 D: It’s what I have when Mikayla looks after me – a Ploughman’s. This entry was posted on Saturday, September 29th, 2012 at 6:45 pm and is filed under Uncategorized. Tagged: cheese, children, cucumber, food, grapes, kids, meal, ploughman's, raisins, sandwich. You can feed this entry. You can leave a response, or trackback from your own site.